Below you can view all the condos for sale in the Element Atlantic Station subdivision located in Atlanta Georgia. Listings in Element Atlantic Station are updated daily from data we receive from the Atlanta multiple listing service. To learn more about any of these condos or to receive custom notifications when a new property is listed for sale in Element Atlantic Station, give us a call at 404-998-4063. Amenities Include: Pool, Clubroom, Fitness Center, And Pet Walk. MLS#6535923. Palmerhouse Properties. Tons Of Amenities In This Pet Friendly Community Including Clubroom, Pool, Fitness Center, Park Access And So Much More! MLS#6532238. Knock Homes, Llc.. Seller Will Pay Hoa Fees Thru End Of 2019 With An Acceptable Contract MLS#6532304. Re/Max Metro Atlanta Cityside. Call For A Showing Today Before This Great Unit Is Sold. MLS#6530312. Exp Realty, Llc..
And Your Bathroom Features A Front Load Washer & Dryer And Walk In Closet All Centrally Located In The Atlantic Station Community With Shopping & Dining Options, Easy Access To Highways, Midtown, Buckhead & West Midtown. MLS#6529571. Palmerhouse Properties. Centrally Located In The Atlantic Station Community With Shopping & Dining Options, Easy Access To Ga Tech, Midtown, Buckhead, West Midtown, & Highways (I75/I85/I20). MLS#6525569. Palmerhouse Properties. Atlantic Station And Westside Offer Endless Entertainment, Restaurant And Retail Opportunities! MLS#6522642. Maximum One Realty Greater Atl..
Minutes To Ga Tech. Easy Highway Access. MLS#6519478. Berkshire Hathaway Homeservices Georgia Properties. Enjoy All The Excitement Atlantic Station Has To Offer! MLS#6516060. Harry Norman Realtors. Live, Work & Play At Atlantic Station-Atlanta'S Own "City Within A City" W/Walk Score Of 85**Best Priced 3Bd In This Location**Only 8 Of This Popular Corner Plan In Building**Rarely Found Combo Of Midrise Living W/180 Degree Highrise Views Of Midtown, Downtown, & Atlantic Station**Gallery Entry Foyer, Open Yet Defined Living/Kitchen/Dining & Large Balcony**Master Suite W/Sitting Area, Spa Bathroom, Double Sized Walk-In Closet & Private Access To Balcony**3 Cvd Pkg Spaces On Same Level As Unit**Resort Style Amenities & Dog Walk**Va/Conv Finance With 3% Down To Qualified Buyers MLS#6513156. Atlanta Communities. 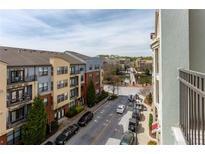 Easy Access To Highways, Midtown, Buckhead & West Midtown. MLS#6115872. Keller Williams Realty Atl Part. 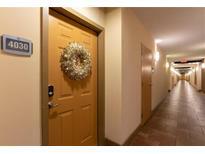 Wonderful Community Amenities Such As Pool, Gym, Common Areas, Dog Walk, And Zen Garden As Well! Move Right In! ! MLS#6506572. Keller Williams Rlty-Ptree Rd. Perfect Location To Enjoy All The Benefits Of Atlantic Stations'S Numbers Restaurants, Shopping, Movie Theater, Etc... MLS#6129320. Above Atlanta, Llc.. This Security Gated Building Is Within Walking Distance Of Georgia Tech, Ikea, Shopping, Dinning, Entertainment Or Viewing A Movie At The Regal Cinema; Along With Easy Access To Marta And I75/85 & I20. MLS#6503506. Foundations Realty Group, Llc. Seller Will Pay Buyer'S Hoa Fees For 1 Year With An Acceptable Offer. MLS#8508824. Solid Source Realty Inc.. Seller Will Pay 1 Year Of Buyer'S Hoa Fees With An Acceptable Offer. MLS#6119604. Solid Source Realty, Inc.. Wonderful Community Amenities Such As Pool, Gym, Common Areas, Dog Walk, And Zen Garden As Well! MLS#6115268. Keller Williams Rlty-Ptree Rd.